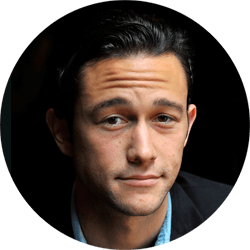 Joseph Gordon-Levitt was born in Los Angeles, California. After playing the Scarecrow in a production of The Wizard of Oz at the age of four, he was approached by an agent and began appearing on television. In 1994, he played a starring role in Angels in the Outfield (1994) and soon after played Tommy Solomon on 3rd Rock from the Sun. Since then, Gordon-Levitt has starred in major films such as Inception (2010) and The Dark Knight Rises (2012). He was recently confirmed to play Edward Snowden in an upcoming Oliver Stone movie.